So I woke up to this in my inbox. Rabbitman you are awesome. 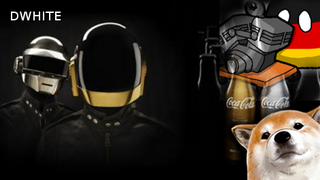 He even chose the Daft Punk edition coke set for the coke bottles.